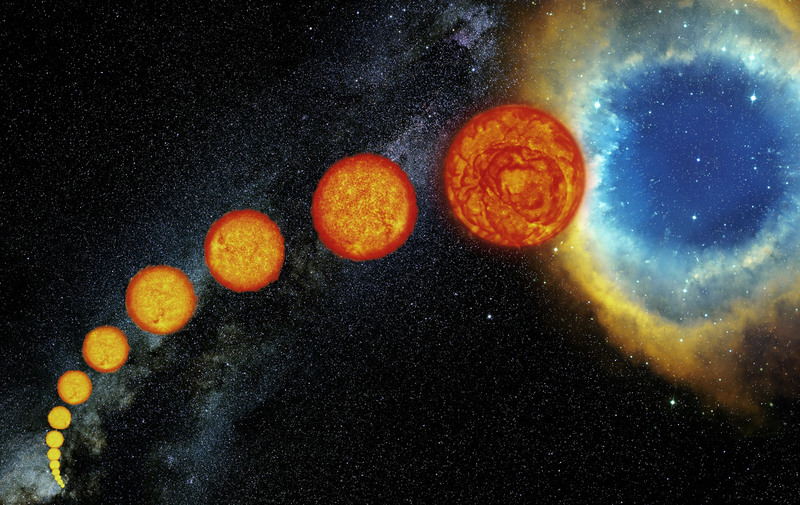 Life cycle of a sun-like star. ESO/S. Steinhöfel – ESO. CC BY 4.0. The Star Class activity in Lesson 3.3 is a must-do activity that introduces students to the key characteristics of stars and how they interact. The relationship of a star’s size, temperature, and luminosity is nicely captured in the Hertzsprung-Russell diagram, a visual that I tell my students is the astronomer’s periodic table. The H-R diagram helps make concrete why hot stars are hot and why cooler stars are cool and why changing any of these characteristics can change the nature of the star. 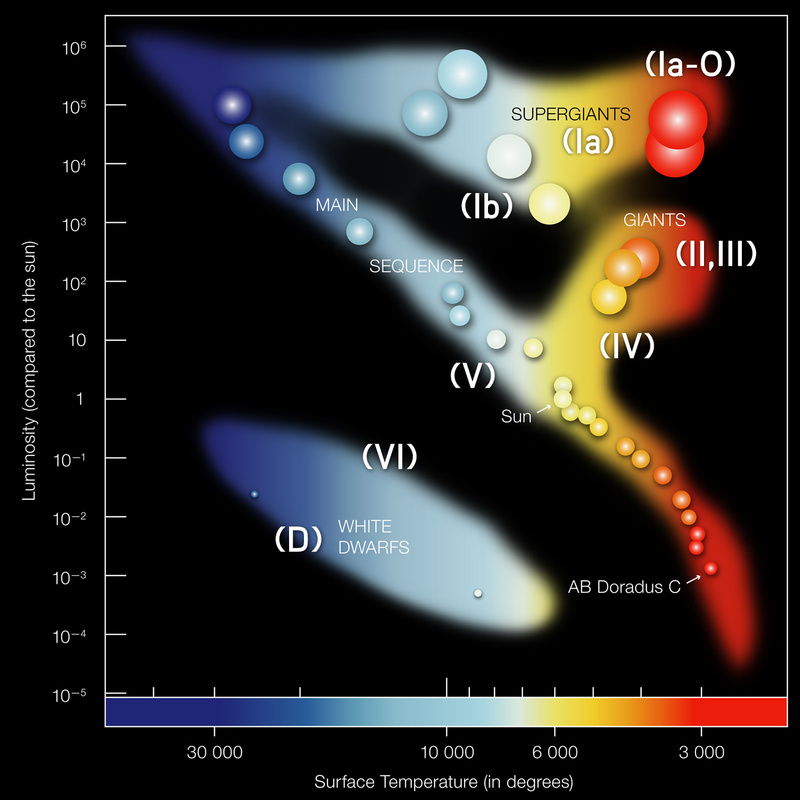 Hertzsprung-Russell diagram. ESO. CC BY 4.0. But if I just give my students the H-R diagram and ask them about these relationships, they’re likely to struggle to interpret the data presented there. That‘s why the Star Class activity is so great; it helps students understand and use the H-R diagram by having them explore these relationships first in a hands-on way. Students are given 25 stars of varying temperature, size, and luminosity, and are asked to organize them in a variety of ways. Over the course of the activity, students work out the key relationships. For example, students are instructed to organize the stars by luminosity. One group of my students wondered: “How can Spica and Antares be equally bright but have different temperatures?” They quickly recognized that Antares was bigger than Spica and that this size difference helped explain the difference in luminosity. I like this activity because it combines active learning and collaboration to help students explore the characteristics of stars, preparing them to use the H-R diagram, a key item in the astronomer’s toolkit. About the author: Dave has taught for over 30 years, more than 25 of them at his current school, a private high school in Weston, MA. For the last 7 years, he has taught BHP to ninth-, eleventh-, and twelfth-graders. His school runs on a trimester system, which gives him about 90 days to cover 13.8 billion years of history in each class. He has 12–16 students in each class. Recently, Dave began offering an online BHP course in the summer.